Fly fishing nippers are small and we don’t think about it in a first time when we hear “fly fishing”, but never underestimate their value. 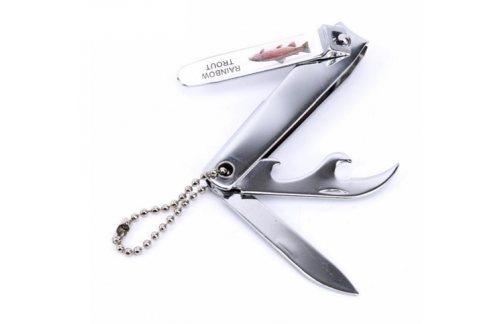 You can find many different kind of fly fishing nippers like a proof of their different capacities to help you during your fishing adventures. We can see high prices nippers as we can see low prices nipper, what is important to know is that it could be really expensive to afford fly fishing equipment like rod, reels or even waders. That’s why the nature of the market is beautifully done, it’s easy to find cheap fly fishing nippers, just go on you have the possibility to buy a lot of nippers for the price of one and the same result : lines cut. Choose it wisely and learn to detect your real need, you don’t have to buy an expensive nipper just for its price range but only for the possibility to cut heaviest diameters and precision characteristic that can make the difference. -Precision: Fly fishing nippers have to be precise enough, the point where you put your thumb on have to be solid enough to support many pressure, keep a straight line, and be light enough. Fly fishing nippers are important to make clean cuts, don’t put a blind fold on your eyes by judging it only by seeing the price, but more by seeing the capacity to adapt with different diameters, especially the heaviest one, their weight, their sharp, and globally their resistance：the capacity to cut lines and still have the same sharpest shape after cutting many of them, and the resistance under pressure.